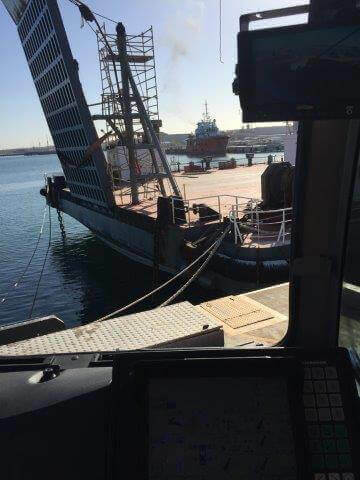 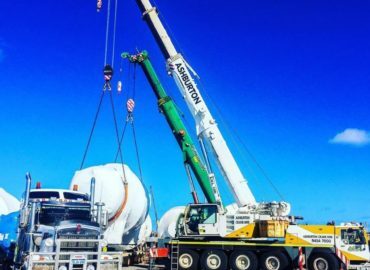 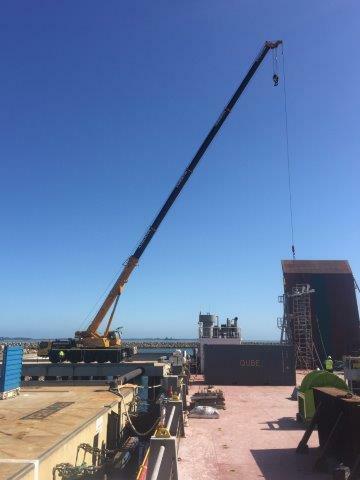 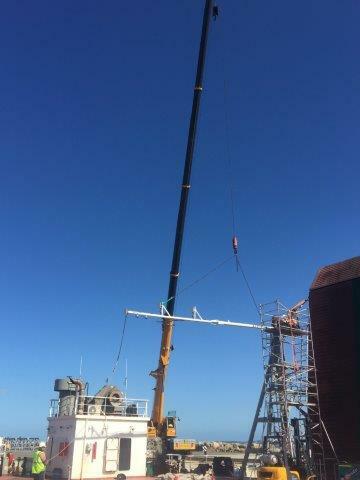 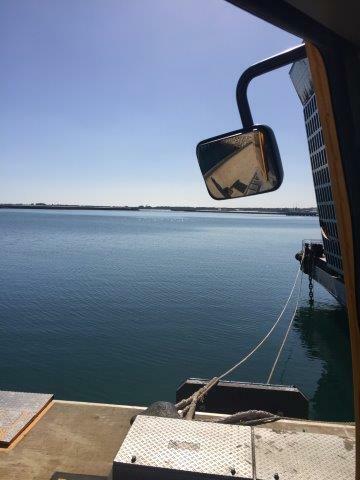 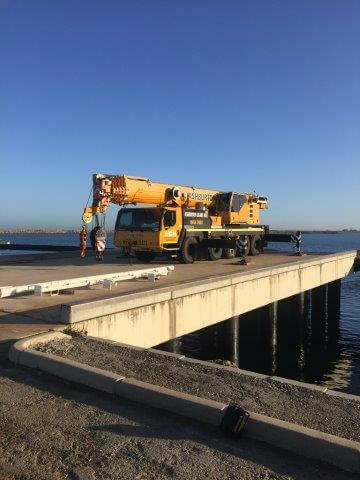 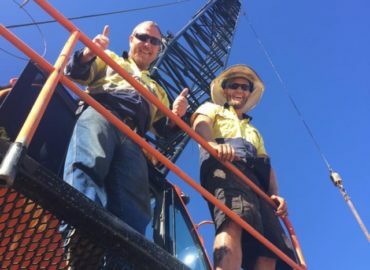 Ashburton Crane Hire was mandated to install a marine navigation mast on the Cube Transporter at the Australian Marine Complex (AMC) Wharf Henderson. 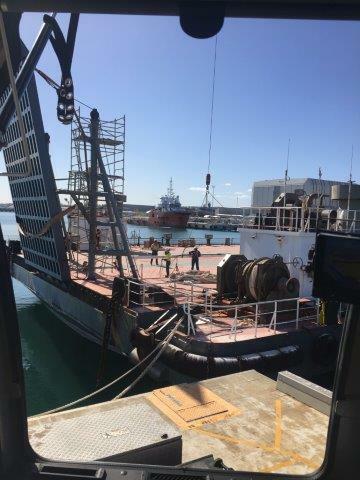 The barge is bound for the Wheatstone gas plant project at Onslow, Western Australia. 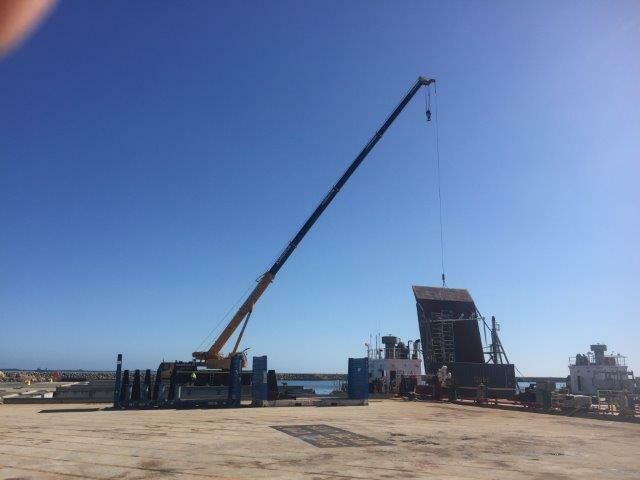 Crane on a barge job successfully completed on time and on budget!